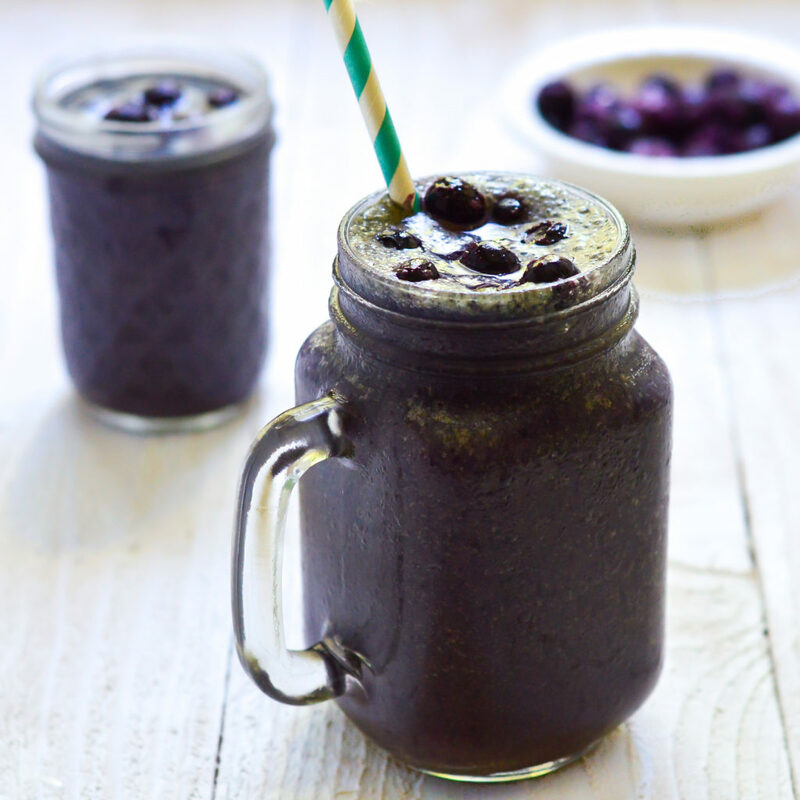 Mondays usually call for coffee, and coffee calls for a sweet, dunkable side treat. 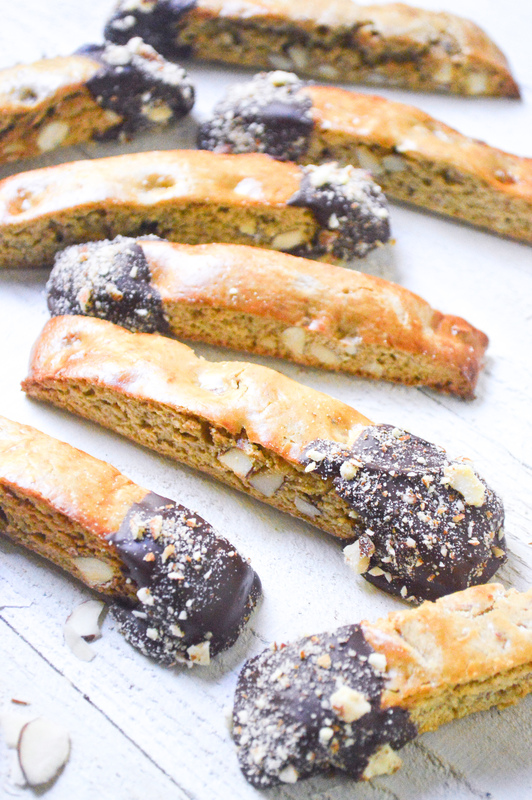 I became a fan of biscotti as soon as I tried out this recipe. It won’t break your teeth like a lot of other biscotti I’ve tried in coffee shops. 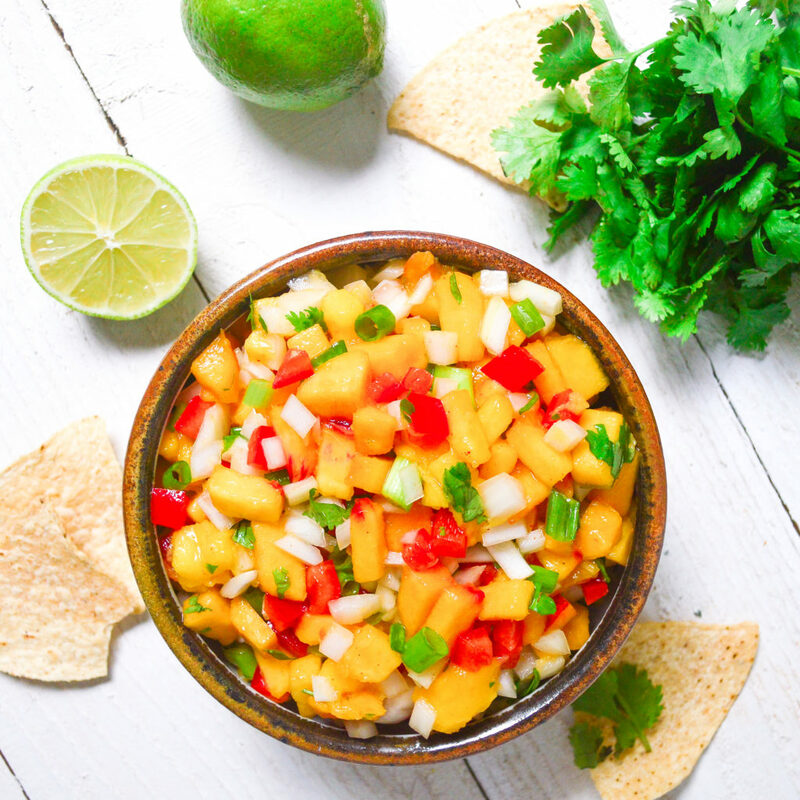 It has the slightest amount of softness in the center, without loosing that crunchy outside. 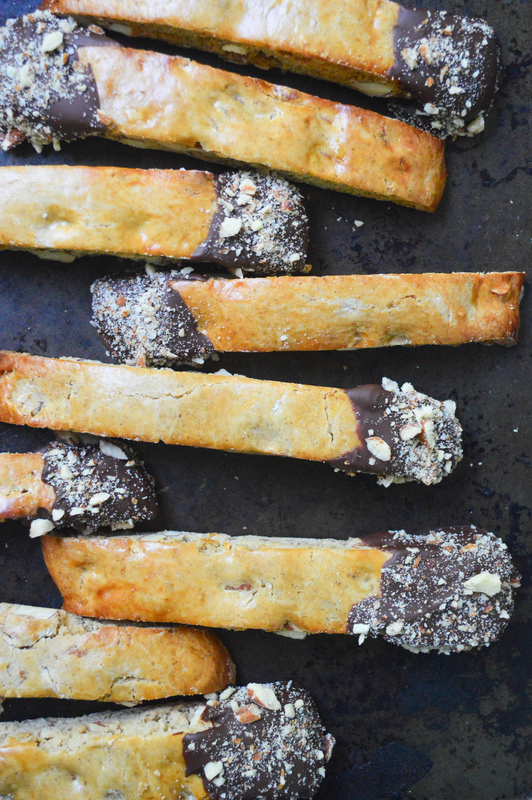 This almond biscotti is warming, rustic, and not too sweet. 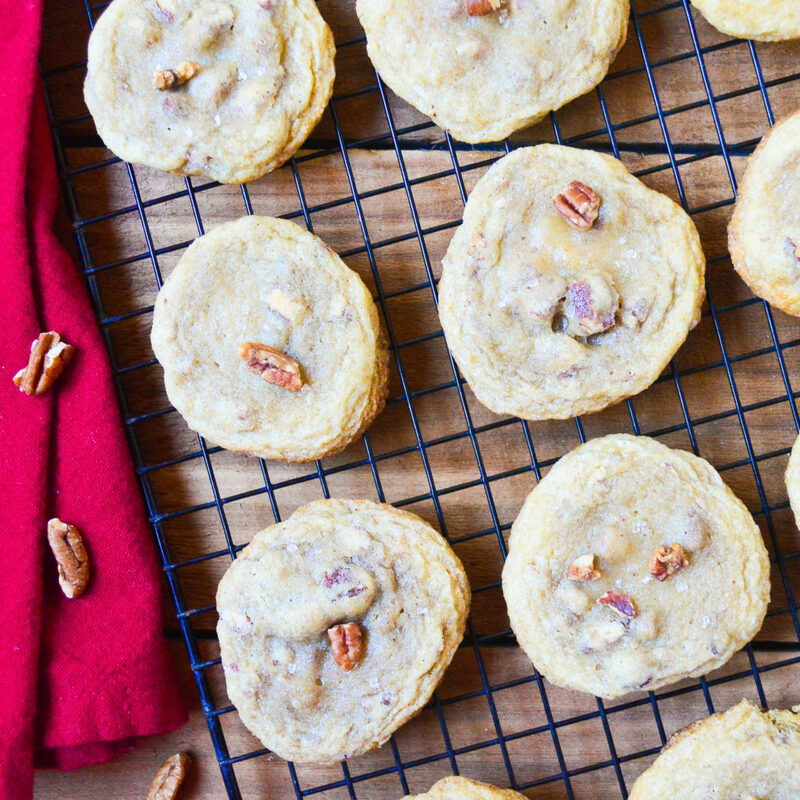 Plus, baking these will fill your home with an aroma reminiscent of an almond cookie. 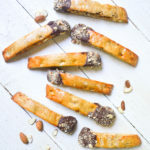 Making homemade biscotti will require a lot of steps, and a little bit of patience, but overall this is a very easy recipe! 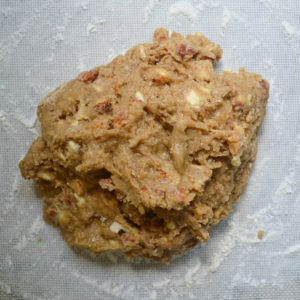 Other than rolling the mixture out into logs, it’s a lot like making cookie dough. 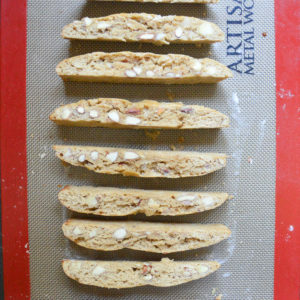 I like to wrap these biscotti up in a cute tin with a bag of gourmet coffee to give as yummy gifts. Did I mention that the edges are dunked in chocolate? 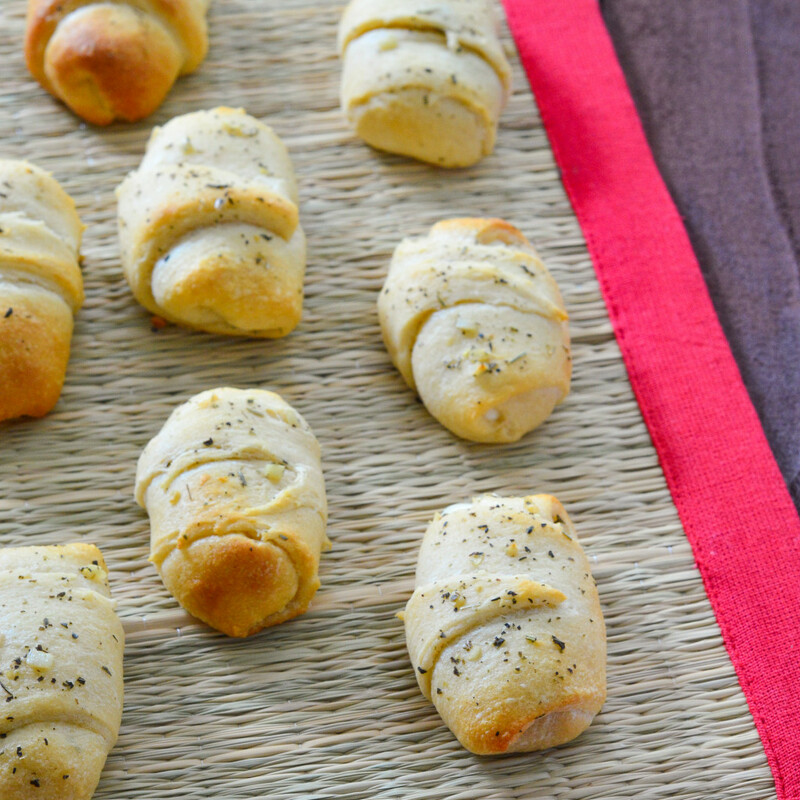 Preheat your oven to 300 and line two baking sheets with parchment paper (or silicone mats). 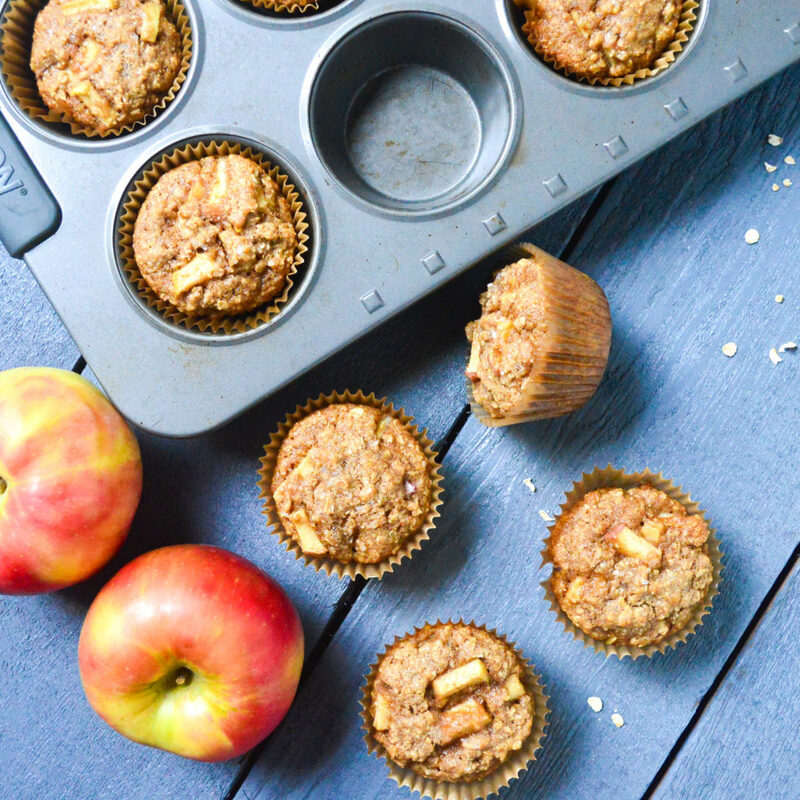 Keep those baking sheets handy, you’ll be using them 3 times during this recipe. 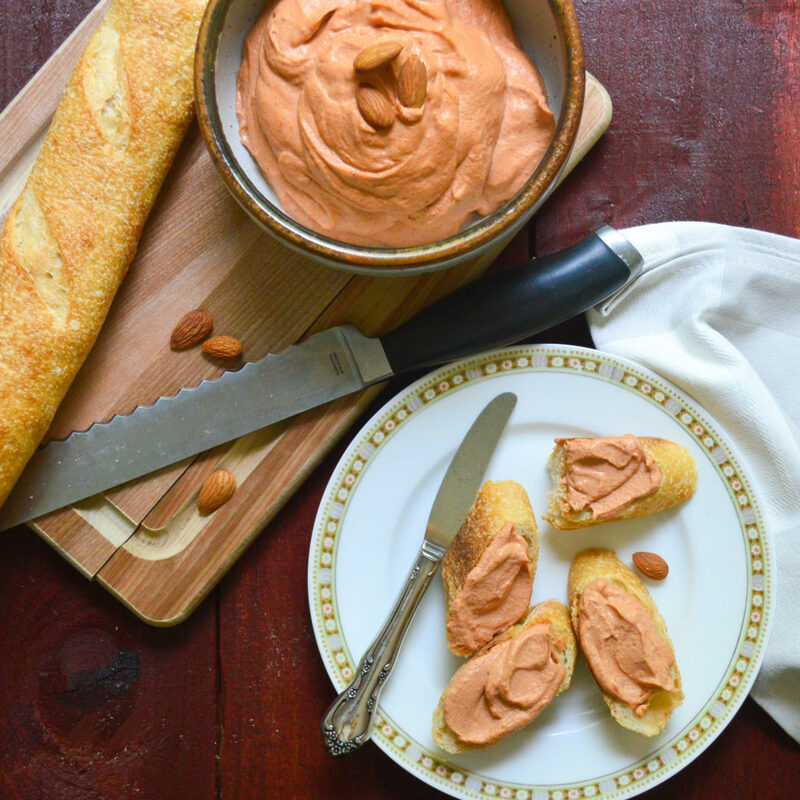 Spread some whole almonds on one sheet and set the other one aside. Toast for 15 minutes, flipping once halfway through. 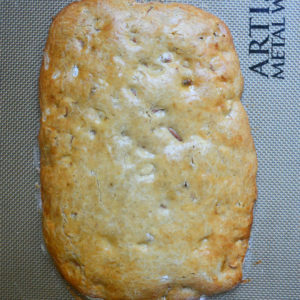 Remove the almonds from the oven to let cool slightly. 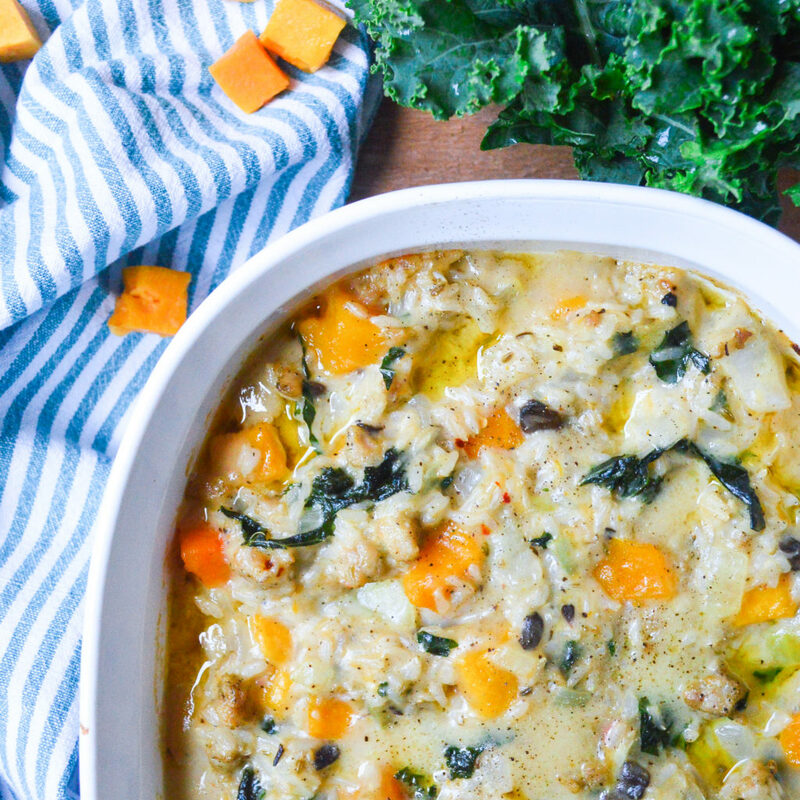 Turn your oven up to 350. 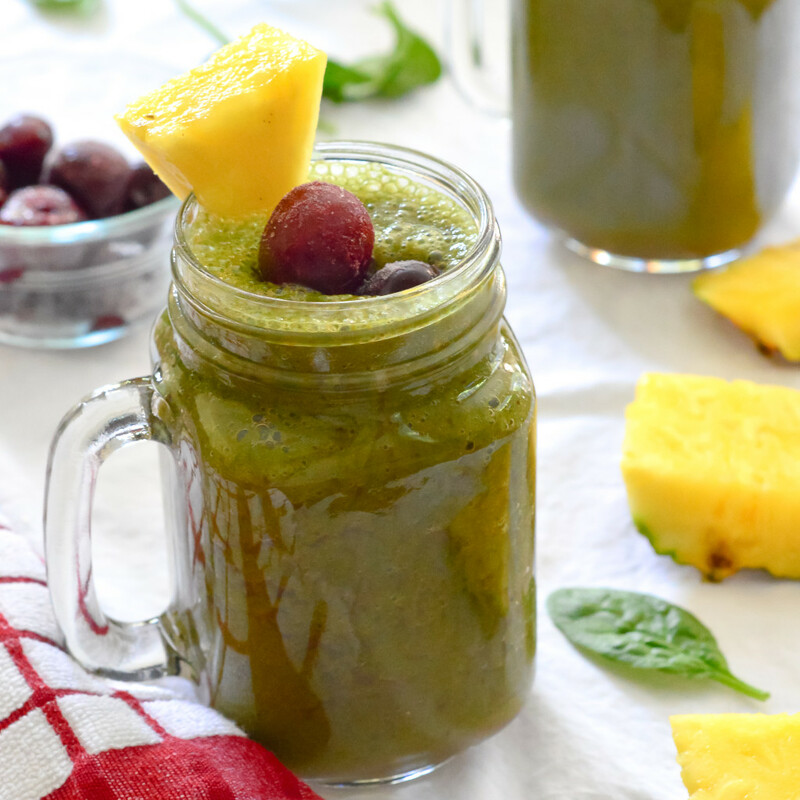 Pulse the toasted almonds in a food processor or blender until very coarsely chopped. Set 1 cup of these chopped almonds aside. Pulse the remaining almonds until they are a little more fine. 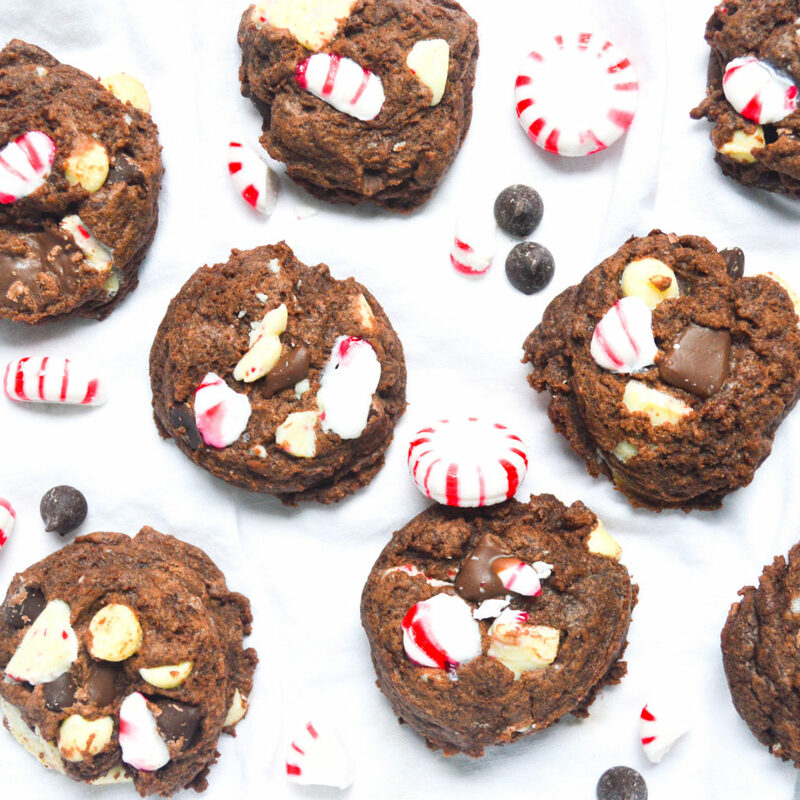 These will be what you sprinkle on top of the chocolate. 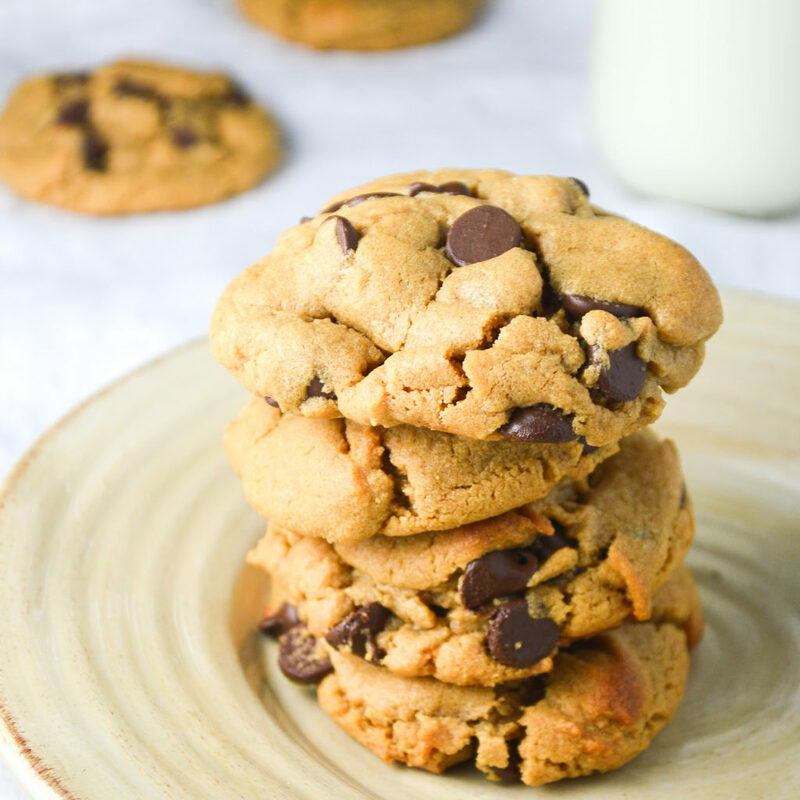 In a large mixing bowl, whisk the flour, brown sugar, baking powder, cinnamon, and salt together. Using a pastry cutter or 2 knives, cut in chunks of cold butter until the mixture resembles coarse crumbs. 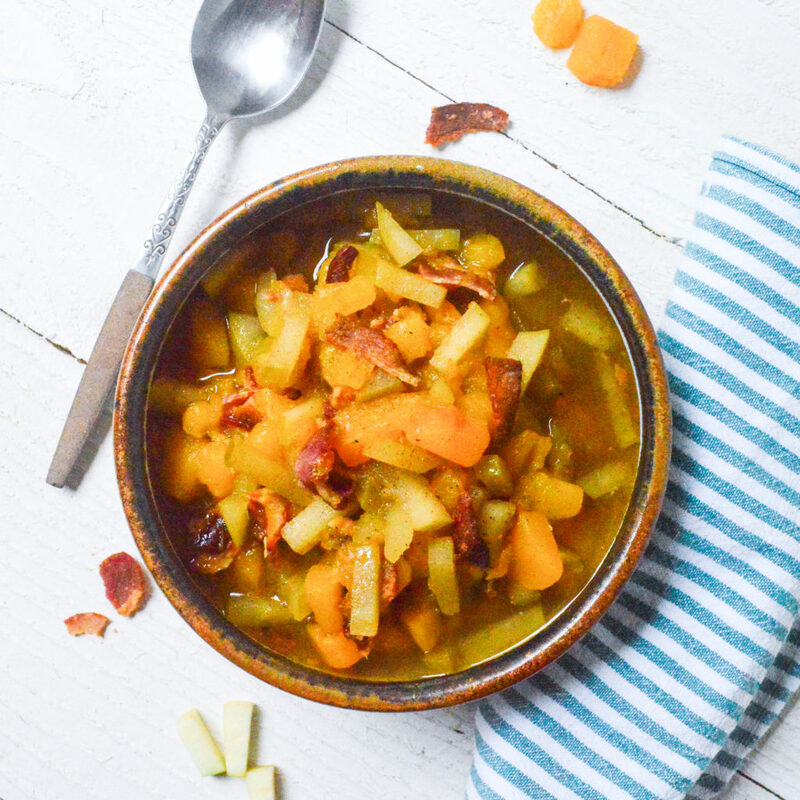 Gently toss in the 1 cup of coarsely chopped almonds and set this aside. 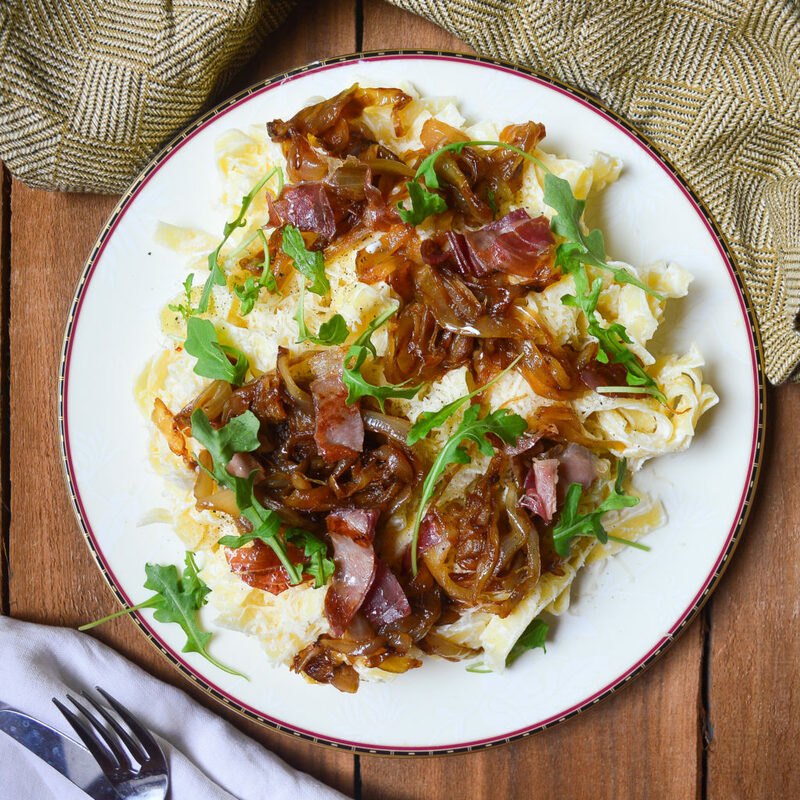 In a medium bowl, whisk the eggs, oil, and vanilla together. 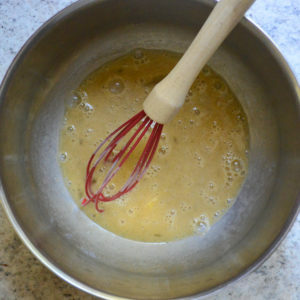 Pour into the flour mixture and gently mix with a wooden spoon or rubber spatula until everything is just combined. 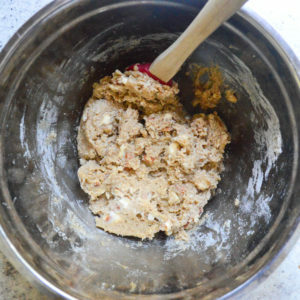 Turn the dough out onto a lightly floured surface, and with very floured hands, knead lightly until the dough is soft and slightly sticky, about 4-8 times. 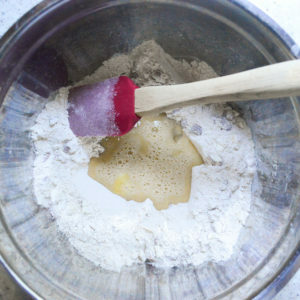 Add more flour if necessary, 1 tablespoon at a time. 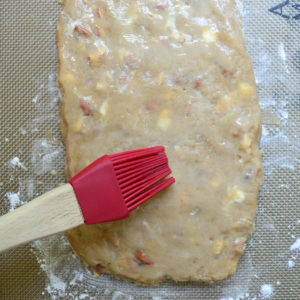 With floured hands, divide the dough in two and place each half onto a baking sheet. Shape each half into an 8-9 inch long roll, and about 1/2 inch thick. 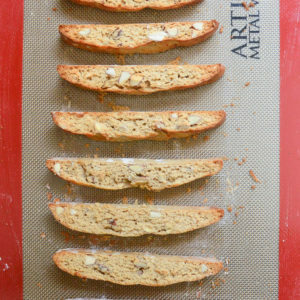 Using a pastry brush, lightly brush the top and sides of each biscotti slab with the egg wash.
Bake in the preheated oven for 25-26 minutes, or until the top and sides of the biscotti slabs are lightly browned. Remove from the oven, and cool for 10 minutes. Once the slabs are cool enough to handle, cut each half into 1 inch thick slices. Set the slices cut sides upright on the baking sheets. 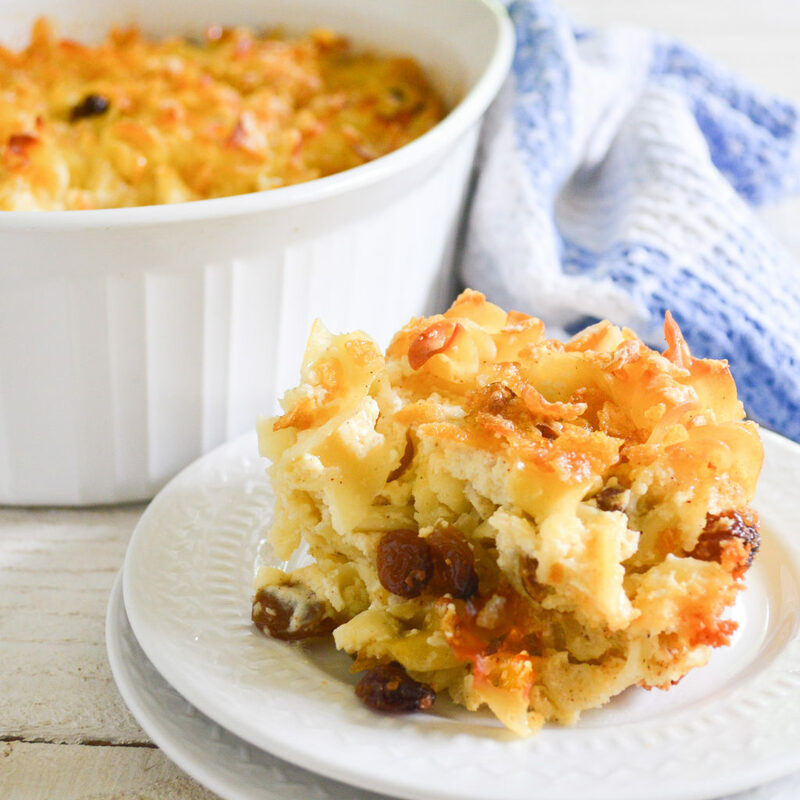 Return to the oven to continue baking for 9-10 minutes. Turn the biscotti over and bake other side for 9-10 minutes, or until the cookies are slightly soft in the center but hard around the edges. 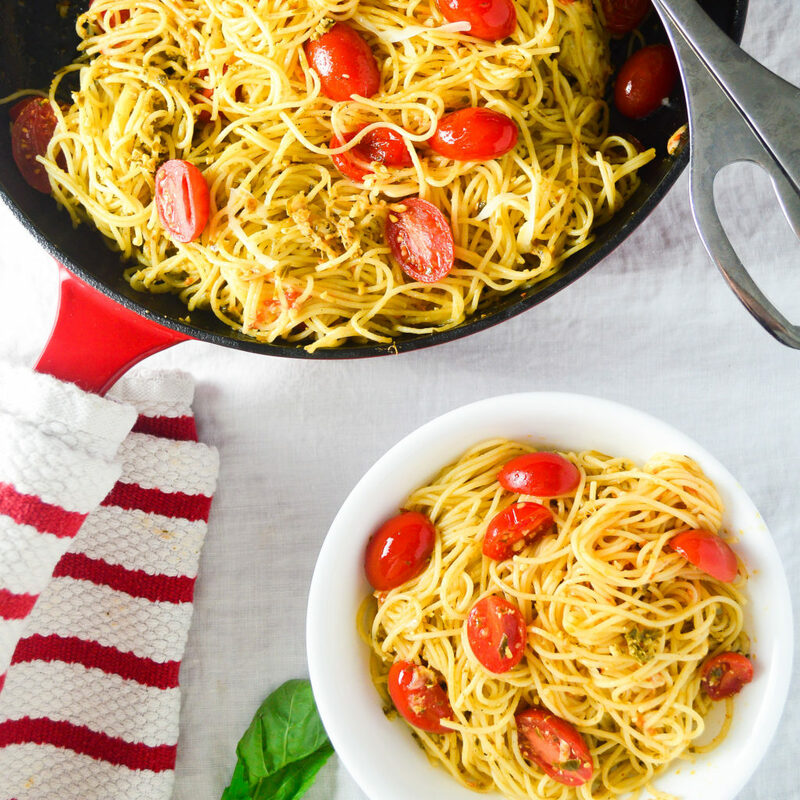 Let cool for 5 minutes on the baking sheet, then transfer to a wire rack to cool completely. 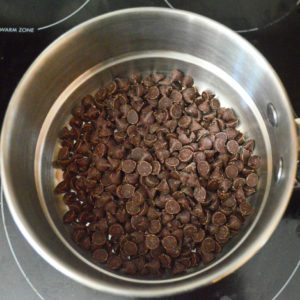 Melt the semisweet chocolate in a double boiler or in the microwave. 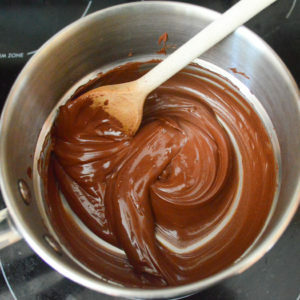 Stir until the chocolate is just melted. 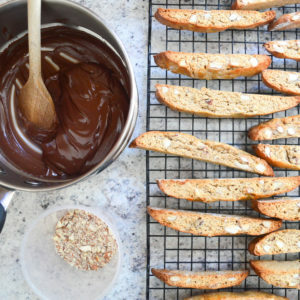 Dip one side of each biscotti into the melted chocolate and immediately sprinkle with the remaining toasted almond crumbs. Place back onto the baking sheets and allow the chocolate to set in the refrigerator for 30-45 minutes. 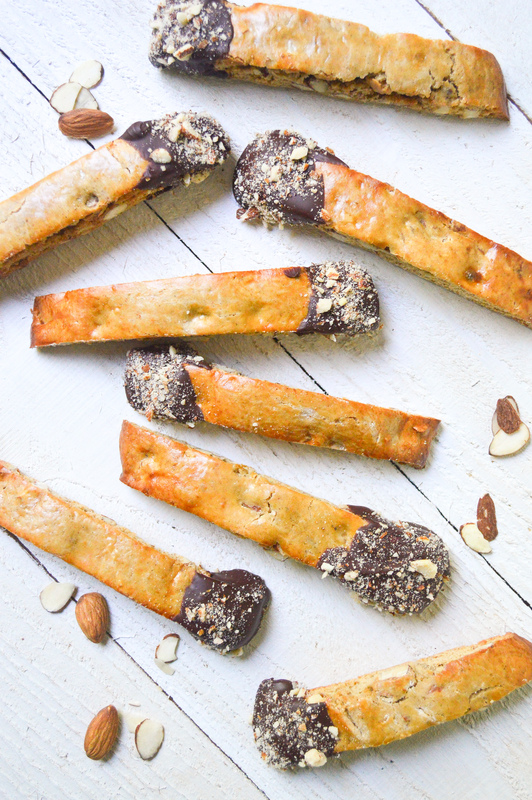 Warming, rustic, and crunchy almond biscotti dipped in melted chocolate. Preheat oven to 300 and line two baking sheets with parchment paper. 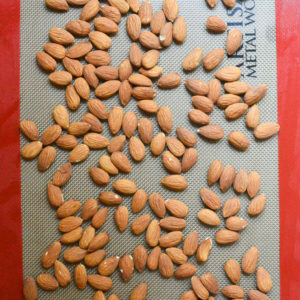 Spread almonds on one sheet and set the other one aside. 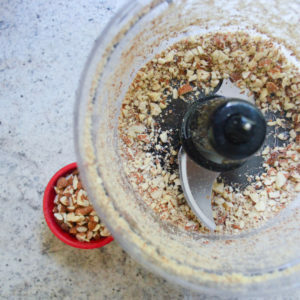 Toast the almonds for 15 minutes, flipping once halfway through. 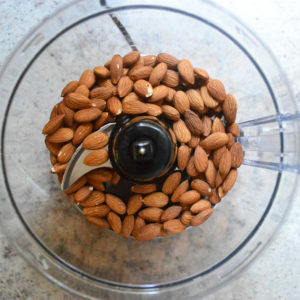 Remove the almonds to let cool slightly. Turn the oven up to 350. 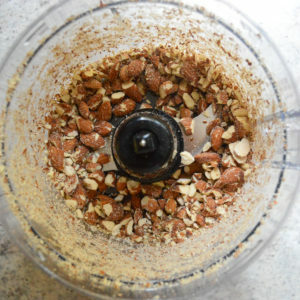 Pulse the toasted almonds in a food processor or blender until very coarsely chopped. 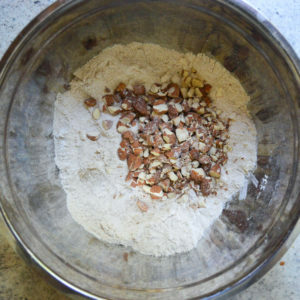 Set 1 cup of the chopped almonds aside. Pulse the remaining almonds until they are a little more fine. These will be what you sprinkle on top of the chocolate. 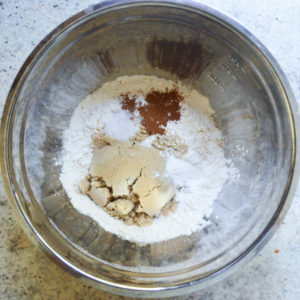 In a large mixing bowl, whisk the flour, brown sugar, baking powder, cinnamon, and salt together. 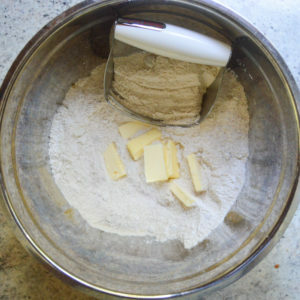 Using a pastry cutter or 2 knives, cut in the butter until the mixture resembles coarse crumbs. 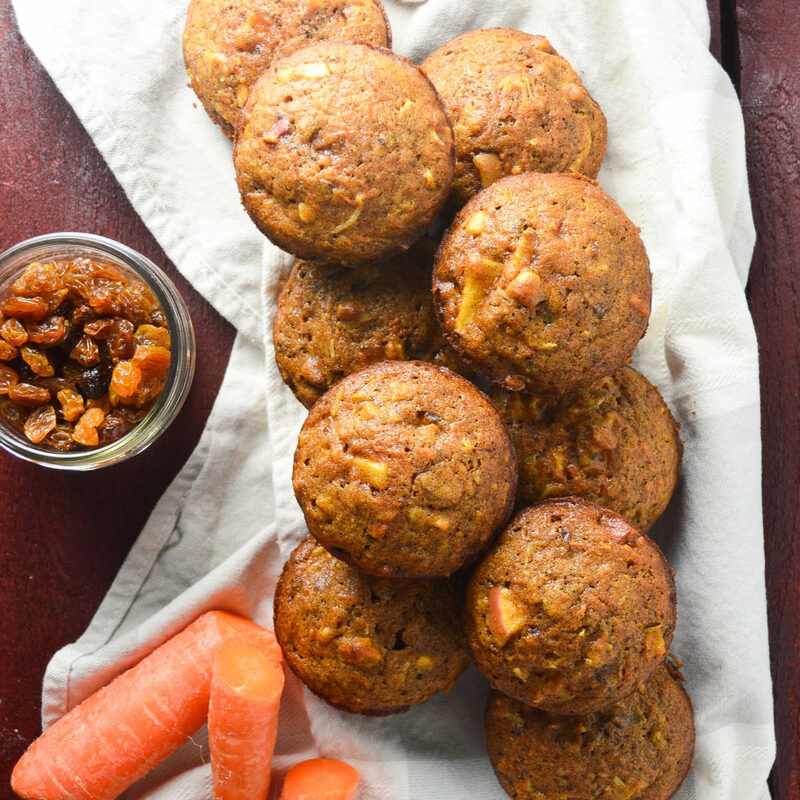 Gently toss in the 1 cup of coarsely chopped almonds and set aside. 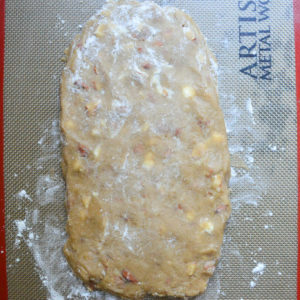 Bake in preheated oven for 25-26 minutes, or until the top and sides of the biscotti slabs are lightly browned. Remove from the oven, and cool for 10 minutes. Once the slabs are cool enough to handle, cut each half into 1 inch thick slices. 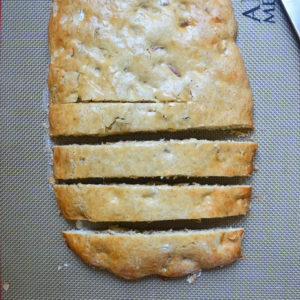 Set slices cut sides upright on the baking sheets. 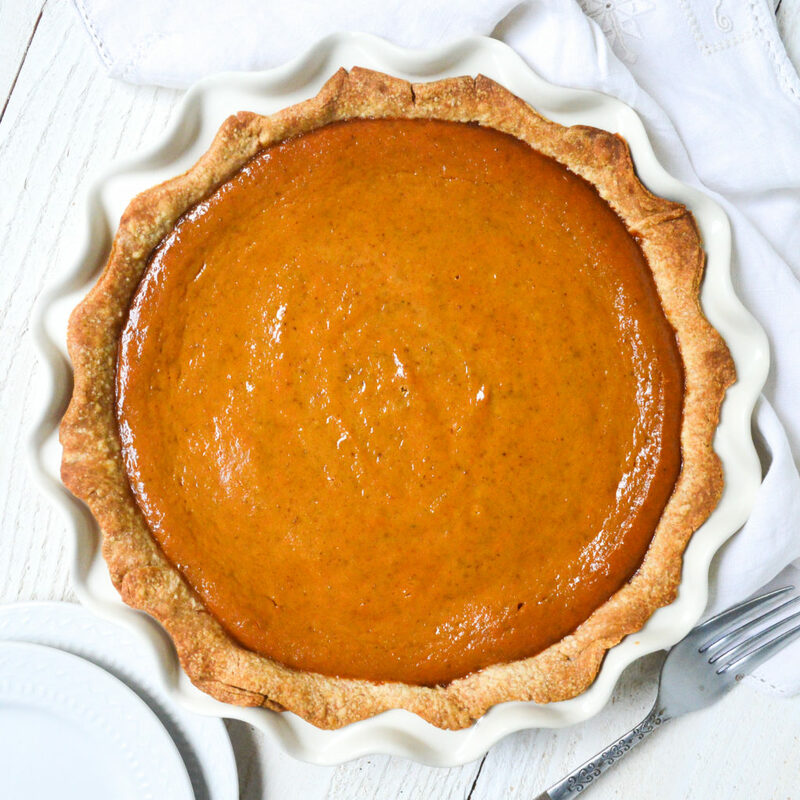 Return to the oven to continue baking for 9-10 minutes. Turn biscotti over and bake other side for 9-10 minutes, or until the cookies are slightly soft in the center but hard around the edges. 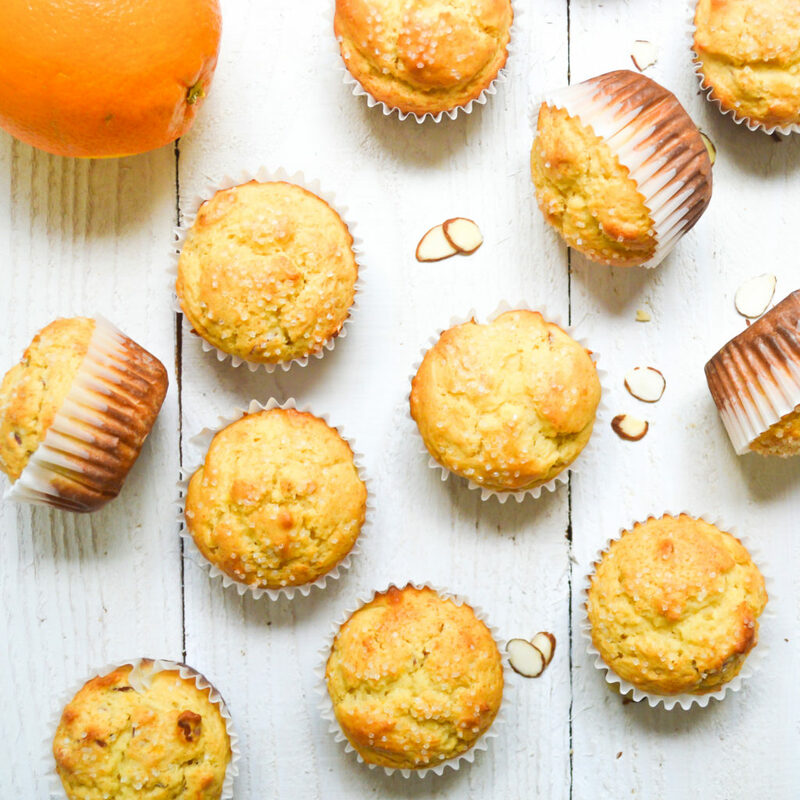 Let cool for 5 minutes on the baking sheet, then transfer to a wire rack to cool completely. 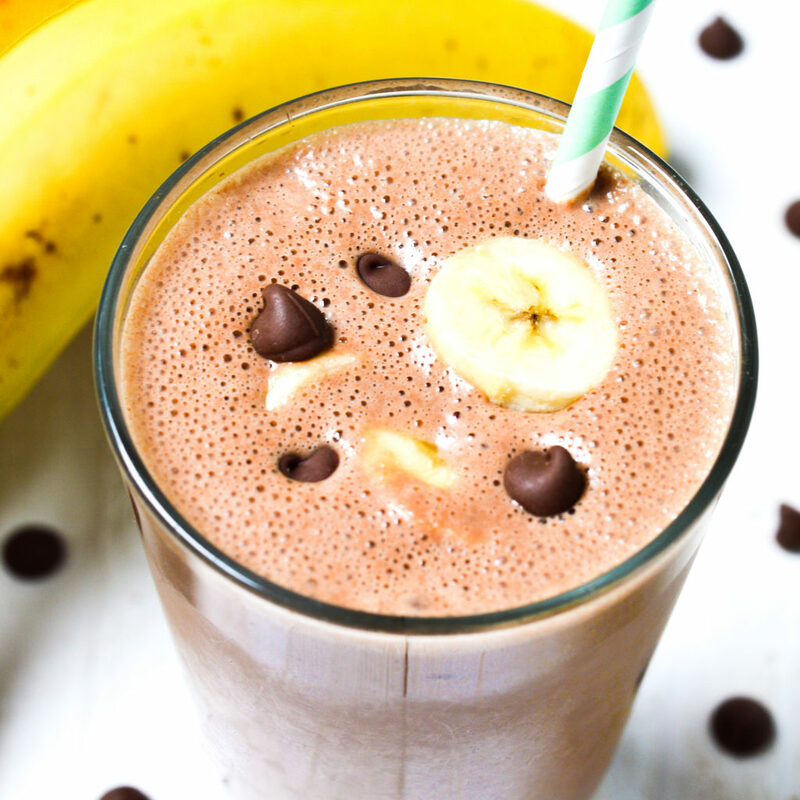 Melt the semisweet chocolate in a double boiler or in the microwave. 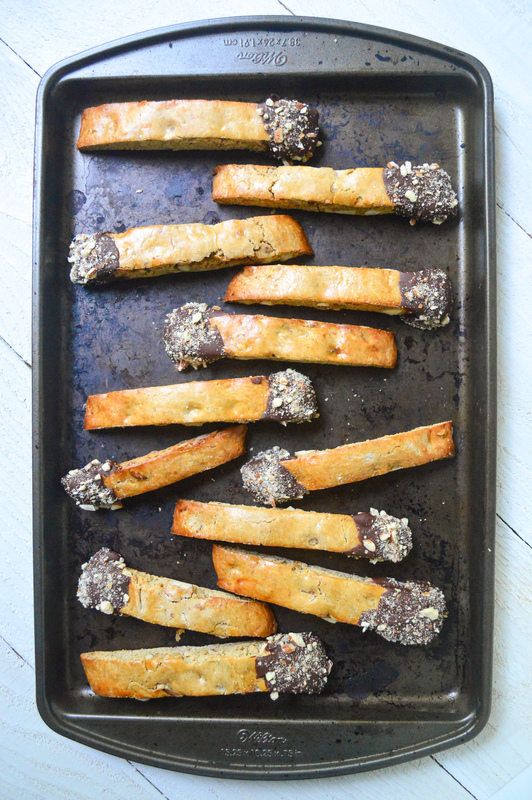 Dip one side of each biscotti into the melted chocolate and immediately sprinkle with the remaining toasted almond crumbs. Place back onto the baking sheets and allow the chocolate to set in the refrigerator for 30-45 minutes. 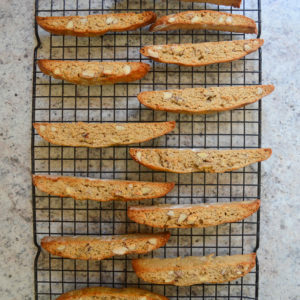 Store leftover biscotti in an airtight container for up to 2 weeks. Biscotti may be frozen up to 3 months, without the chocolate coating.